PPHI KPK Mansehra Corruption exposed but went unnoticed. If you are looking for PPHI KPK Jobs and you are a doctor then it is highly not recommended to do a job in such a corrupt mafia which will destroy your personality as a doctor. This PPHI Department of KPK has already put many doctors in to depression and so this article is being written in support of them and to expose the corruption and frauds of this department that they do with the doctors and use newly graduated doctors in making illegal money for themselves. They harass newly graduated young doctors who can easily be trapped by them and they become victims of their cruel behavior. 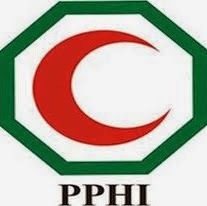 PPHI officials especially DSMs and his clerical staff don't facilitate the doctors at all and if a doctor ask for facilitation they propose him to resign and if a doctor resigns they deduct his pay of whole month and plus the security and they give reason that you had to inform us a month ago. Here we will Share the mysterious strategy of DSM PPHI Mansehra Gul Mehnaz that she uses to harass the doctors with the help of her clerical staff. PPHI KPK is People’s Primary Healthcare Initiative which is sponsored partly by Government of Khyber Pakhtoonkhwa and some Private NGOs and the reason to establish this program is to improve the primary health care system of the province. But like all the department of Pakistan, Corruption in PPHI is at its peak and yet government and authorities knows about this and despite of that they haven’t taken any notice. It is obvious why they aren’t taking any notice. PPHI Mansehra DSM Gul Mehnaz is openly alleged of corruption by the doctors, and with the help of the lower staff of her office she harass doctors, threat them and deduct their pays and fill up their own bank accounts. There is a whole mafia that works under her supervision. PPHI KPK, Mansehra DSM Gul Mehnaz has been informed about the situation of BHUs. Doctors had several meetings with her and they told her about their issues. But instead of addressing them she started to threat the doctors and said “You may leave the job if you aren’t happy with it” and when a doctor leave this PPHI job she deducts his pay. She says that you had to inform us one month ago. So she force a doctor to work for one more month without pay just to get the old dues. She has been informed that her clerks miss use their powers and demand money from doctors. The lower staff offers doctors that if they pay them some money they will give him full pay and they don’t have to go to the BHU. PPHI KPK DSM of Mansehra was informed of the situation by a Doctor (The name of the doctor is kept). The Doctor told the PPHI KPK DSM Mansehra about the corruption of her lower staff. But instead of taking action against the lower staff, she took an action against the doctor. This shows that she is also involved in the scandal and corruption. Many doctors in PPHI KPK Suffers because of the attitude and corrupt behavior of the non-technical staff. They miss-behave with the doctors, Demand money from them, and deduct their pays without any reason. Higher authorities of PPHI KPK knows about these issue and PPHI District in charge of Mansehra, Gul Mehnaz is allegedly actively involved in an open corruption and yet the higher authorities put deaf ear to it. “PPHI KPK has made a monitoring department to monitor the activity of the doctors. But there is no monitoring department for the DSMs and Clerical staff of the PPHI. DSM Mansehra Gul Mehnaz is never found in his office on time. Many doctors complained that Gul Mehnaz, the DSM of Mansehra PPHI, is never found in his office in duty timings. Her clerks and lower staff is never found to be present in its full strength. There is no body to keep a check on them. But every time if something wrong happens a doctor is blamed”, a doctor of Mansehra District complained. Imran Khan the Chairman of PTI who claims that there is no corruption is his province KPK should open his eyes. There is nothing changed in KPK. Corruption is at its peak and this is a clear example of it. PPHI KPK especially that of peripheral districts like Mansehra is highly involved in open corruption scandals and these can easily be proved with short inquiries. The DSM Mansehra name is particularly mentioned here because enough proofs against her can be provided on demand and the condition of other districts which are managed under PPHI KPK also needs attention of the higher authorities and higher authorities can only do so if they themselves are not involved in the corruptions. The reason to write this article is only to draw attention of the authorities and general public on this matter. The corruption in PPHI KPK is at its peak and it needs to be stopped. Doctor should be provided with all the facilities so they can perform their duties well. Somebody should ask those DSMs what are they doing for the betterment of department instead of harassing the doctors, deducting their pays and demanding money from them?….! PPHI KPK which is called People’s Primary Healthcare Initiative is nothing but a corrupt department which is gathering money from the Government and NGOs and this money fills the bank accounts of the staff and DSMs only. This money is of no use to the people. The PPHI should be abolished and the doctors should be regularized and owned by the Government of the KPK and an inquiry against the DSMs of all the districts should be called and free and fair trial of the DSMs and the doctors should be held. So that everyone can clearly see what these DSMs are doing and how they are filling up their stomachs by the flesh of the poor people of KPK.